In May of 2015, New York City Council Speaker Melissa Mark-Viverito, along with her colleagues, Council Members Julissa Ferreras-Copeland, Elizabeth Crowley, Laurie Cumbo and Darlene Mealy, announced the launch of the New York City Council's Young Women’s Initiative (YWI). -Embracing an inclusive framework around gender beyond the binary, ensuring that transgender women and gender-non-conforming young women are also centered in this work. Aligned with the Council’s commitment to participatory governance and knowing that young women and girls are experts in their own lives, the City Council created a Young Women’s Advisory Council (YWAC), which played a key role during the process. The City Council called upon three leaders for racial and gender justice to serve as Initiative Co-Chairs: Ana Oliveira, CEO of the New York Women’s Foundation; Danielle Moss Lee, CEO of the YWCA of New York City; and Joanne Smith, Founder and Executive Director of Girls for Gender Equity. In this capacity, they helped provide the vision, structure and framework for YWI. 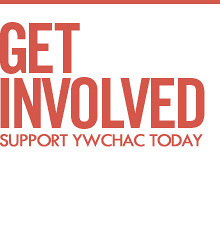 Initiative Co-Chairs then formed a Steering Committee of grassroots advocates, policy experts and leaders of YWAC, who convened a Working Group process to develop recommendations for improving the lives of young women and girls.